Researchers revealed how apoE4 confers its risk for Alzheimer's disease in human brain cells. What's more, they were able to erase the damage caused by apoE4 by changing it, with a small molecule, into a harmless apoE3-like version. Using human brain cells, scientists at the Gladstone Institutes discovered the cause of -- and a potential solution for -- the primary genetic risk factor for Alzheimer's disease, a gene called apoE4. 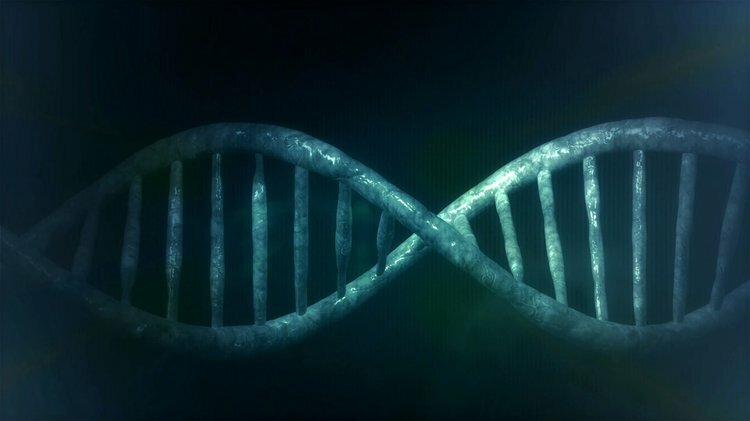 Having one copy of the apoE4 gene more than doubles a person's likelihood of developing Alzheimer's disease, and having two copies of the gene increases the risk by 12-fold, as compared to the most common version of the gene, apoE3. In a new study published in Nature Medicine, researchers revealed how apoE4 confers its risk for Alzheimer's disease in human brain cells. What's more, they were able to erase the damage caused by apoE4 by changing it, with a small molecule, into a harmless apoE3-like version. Most Alzheimer's research and drug development are done in mouse models of the disease. However, a succession of clinical trial failures has spurred scientists to turn to other models. "Drug development for Alzheimer's disease has been largely a disappointment over the past 10 years," says lead author Yadong Huang, MD, PhD, a senior investigator and director of the Center for Translational Advancement at Gladstone. "Many drugs work beautifully in a mouse model, but so far they've all failed in clinical trials. One concern within the field has been how poorly these mouse models really mimic human disease." Instead, Huang decided to use human cells to model the disease and test new drugs. Thanks to induced pluripotent stem cell technology, his team was able to examine, for the first time, the effect of apoE4 on human brain cells. To do so, the researchers created neurons from skin cells donated by Alzheimer's patients with two copies of the apoE4 gene, as well as from healthy individuals who had two copies of the apoE3 gene. The researchers confirmed that, in human neurons, the misshapen apoE4 protein cannot function properly and is broken down into disease-causing fragments in the cells. This process results in a number of problems commonly found in Alzheimer's disease, including the accumulation of the protein tau and of amyloid peptides. "There's an important species difference in the effect of apoE4 on amyloid beta," says Chengzhong Wang, PhD, the first author on the paper and former research scientist at Gladstone. "Increased amyloid beta production is not seen in mouse neurons and could potentially explain some of the discrepancies between mice and humans regarding drug efficacy. This will be very important information for future drug development." Once the scientists confirmed that apoE4 does, indeed, cause damage in human cells related to Alzheimer's disease, a key question remained: how does the presence of apoE4 lead to cell damage? Is the presence of apoE4 resulting in a loss of normal apoE3 function, or does the addition of apoE4 cause the toxic effects? "It's fundamentally important to address this question because it changes how you treat the problem," explains Huang, who is also a professor of neurology and pathology at UC San Francisco. "If the damage is caused due to the loss of a protein's function, you would want to increase protein levels to supplement those functions. But if the accumulation of a protein leads to a toxic function, you want to lower production of the protein to block its detrimental effect." To answer this question, the researchers examined brain cells that did not produce either form of the apoE protein, and the neurons looked and functioned just like cells with apoE3. However, if the researchers added apoE4, the cells became riddled with pathologies related to Alzheimer's disease. This discovery indicates that the presence of apoE4 -- and not the absence of apoE3 -- promotes the disease. Finally, the researchers looked for ways to repair the abnormalities caused by apoE4. In earlier work, Huang and his collaborators developed a class of compounds that can change the structure of the harmful apoE4 protein so it resembles the innocuous apoE3 protein, referred to as apoE4 "structure correctors." Treating human apoE4 neurons with a structure corrector eliminated the signs of Alzheimer's disease, restored normal function to the cells, and improved cell survival. Huang is now working with his collaborators in academia and the pharmaceutical industry to improve the compounds so they can be tested in human patients in the future. Materials provided by Gladstone Institutes. Note: Content may be edited for style and length.